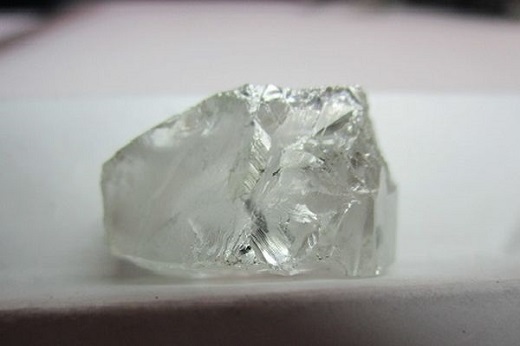 RAPAPORT... Firestone Diamonds has unearthed a 70-carat white rough stone from its Liqhobong mine in Lesotho. “The 70-carat stone was recovered in the northern, low-grade part of the pit, where the bulk of our mining will take place in the coming months,” Firestone CEO Paul Bosma said Tuesday. The stone — which was removed undamaged — follows the miner’s discovery of a 46-carat white diamond in December. That stone sold for more than $1 million, Firestone noted. The company will offer the 70-carat diamond at its next tender, which will take place in March.